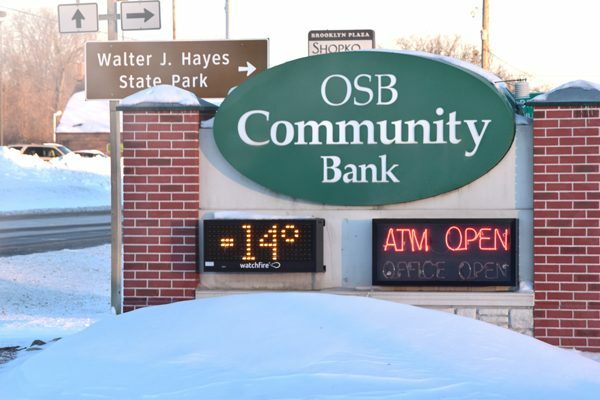 The above photo of OSB Community Bank’s sign was taken Monday, Jan. 21. Around 40 years ago, I bought my first vehicle, a repossessed 1976 red, white and blue Dodge Spirit of America from what was then the Onsted State Bank. Times have changed, but OSB is still around, and it still gets cold outside. Not many people “winter in Montana,” but I did back in 1979. I was fresh out of high school and looking for adventure. I didn’t want to go to college yet – I planned on it later – and the last thing I wanted was to hang around Brooklyn, Michigan. There was a big world out there, after all. So, I pointed my 1976 Dodge Spirit of America, which I had purchased as a repo from the Onsted State Bank, westward. 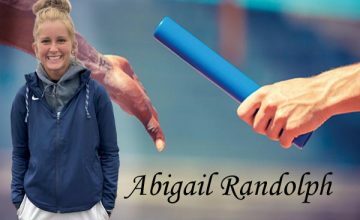 I found a job in a print shop in Miles City, as I happened to know enough about printing to be dangerous, and settled into a mistake-filled, carnal lifestyle that as I get older, I look back upon and cringe. Or smile. It all depends. Anyway, I got up one cold morning to go to work, jumped into the truck and the old girl wouldn’t start. That is when I noticed that it seemed pretty cold out. Undaunted, I opted to walk to work, which was about a mile and a half away from were I lived. I had on jeans, a warm jacket, and a baseball cap. As I was walking, I noticed a funny thing. It was really cold out. Not pretty cold, but really cold. My ears, which were sticking out, began to hurt. Then they started aching. Then I couldn’t feel them anymore. By the time I got to work, and I kid you not, my legs were numb. I walked into the shop, grabbed a coffee, and went over to my press to start the day. That is when a coworker told me that it was -22 degrees outside. No wonder my truck wouldn’t start. Those old Dodges required 10 seconds of cranking anyway. At -22, the battery just couldn’t handle it. It was there, in the Montana winter, that I learned that -22 is different than, say, zero degrees. We have cold winters in Michigan, but we are generally spared from the rough and tumble arctic blasts that Minnesota, Montana and the Dakotas experience. But that is going to change this week. Tomorrow the weatherman says we are going to have a high of -8 degrees. That is not very high. I bring all this up to remind people that if you have a neighbor that lives alone, tomorrow might be a good time to check on them. Give them a call, or even stop by and make sure they are doing alright. I happened to call on a neighbor not long ago, and found she was living without heat or water. She is getting help now, but it just goes to show that you never know what someone is going through. So, be careful out there. A slip and fall in this weather could be deadly. Bundle up. Stay warm. And if you know a widow, widower or single person living close by, be neighborly. Stop by. Call on them. As the old song goes, we all need a little help from our friends. This week just might be one of those times for someone near you. As for my Montana adventure, I eventually ran out of money. I decided to join the Air Force and travel around Europe. The only problem with that was they sent me to Okinawa. At least it wasn’t cold there.